Without caring for your driveway, over time it will build up with weeds and dirt that can ultimately ruin the look over your driveway. 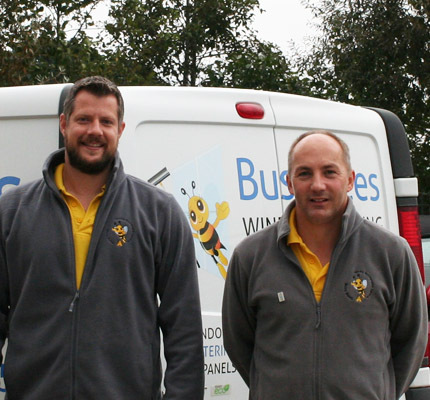 Working throughout Exeter, Exmouth, Sidmouth, Woodbury and surrounding areas in East Devon, We at Busy Bees Window Cleaning offer a comprehensive pressure washing service that helps restore your driveway back to its former glory. There are many benefits to having your driveway pressure washed. The first of which is that it can reduce the effects of weathering. Pressure washing helps to remove the dirt and weeds that can begin to form in cracks which ultimately would cause damage to your driveway. One of the other benefits to pressure washing is that it will reduce future costs. If you fail to clean your driveway over time the dirt will cause cracks meaning that at some point you will need to replace your driveway which is costly in this day and age. Our experts can carry out a regular pressure wash of your driveway to prevent this keeping costs down for you. Our team take pride in the professional pressure washing service that they deliver for clients across Exeter, Exmouth, Sidmouth and surrounding areas in East Devon. With their knowledge and understanding of the industry, our team will be able to assist you in your enquiry and ensure all of your pressure washing needs are met to the highest of British Standards. For more information about pressure washing, or any other service that we specialise in across the Exeter area, please get in touch with our team today.